Alisse Bradley is one of the powerful women on this planet who is here to enlighten the world with her wisdom, and soften problems with her Heart and Light. This Book Will Bring You to the Next Level of Greatness. Alisse's tips and information will give you hope and give you tools to reach your full potential. This book will change everything you’ve ever thought about the connection between your home and work space and your wealth and business success. There’s a transformative shift happening in the way we do business and entrepreneurs are quickly catching up to the fact that, in order to attract greater abundance and wealth into their lives, they need to design their home and business in the same way that many of the wealthiest entrepreneurs on the planet do. It’s time for you as an entrepreneur to use the same tools and techniques that Bill Gates and Oprah use to transform your brand, your business and your brain. This book is the perfect resource for enhancing or completely turning around the results you are achieving in business. 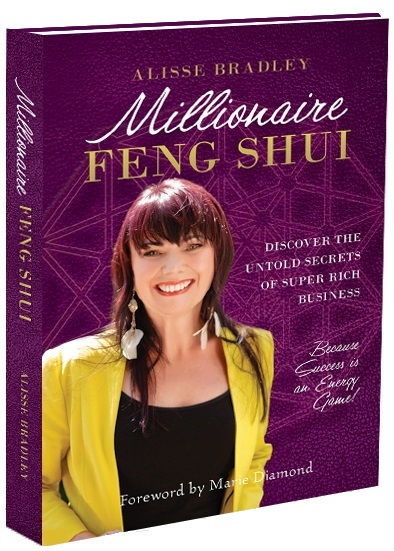 Millionaire Feng Shui contains the process and proven formula to help you design, build and grow a super rich business. There are various Feng Shui systems you can work with … I’ve enjoyed studying the works of (and studying alongside) many of the world’s masters; however, I implement and teach ONLY what works effectively. For me, it is a success strategy I use in my business and my life. While reading your book Alisse, it was both captivating and inspiring. It felt like a fresh view on Universal principles and practices I could relate to, and I often found myself making a checklist of things to implement straight away. Your wisdom has shone through – I understood immediately what you were saying here in your book and I could not stop to put it down. It is not only a great reference book to keep returning to, but a map to a way of living a purposeful and balanced life, where abundance, beauty and inspiration come forth. It will be one of those books that always has a place on my bookshelf, that I will never give away – but I will always give copies to those who matter to me. Feng Shui provides a framework within which to explore and exercise your intuition. It increases your awareness of what your current surroundings, habits, and preferences reveal about your inner state of being. Then, it provides practical tools you can use to create the positive energy flow you really desire. This changes the vibrations (feelings) you experience internally. Science is just starting to catch up with what each of us has known intuitively all along. As the field of quantum physics matures, we will see even greater alignment between newly ‘discovered’ scientific principles and ancient wisdom. You can expect an exponential increase in the knowledge and self-empowerment that is available to all of us for use in this new era of purposeful and conscious business. What Alisse shares in this book is a unique mix of ancient wisdom combined with proven modern wealth creation strategies. Her strategies are simple to understand and her step-by-step instructions are easy to implement. If you want to awaken the energy flow around your business and increase your personal success, then I highly recommend you read Millionaire Feng Shui. What Exactly is Feng Shui? At its most basic level, Feng Shui is about understanding and influencing the flow of energy (Chi) in your surroundings. Everything in our universe is energy in one form or another, so it isn’t surprising that this ancient art and science can impact every area of your life. Get Ready to Change..For the Better! You can apply what you learn here to all aspects of your life and start getting tangible results. What Does Purpose in Business Feel Like? The vibration associated with ‘scrambling to get ahead’ is very different from the vibration that occurs when you are simply expressing your infinite ability. Be a Client Magnet. Now, you are ready to start raising your business profile and profits with Feng Shui. 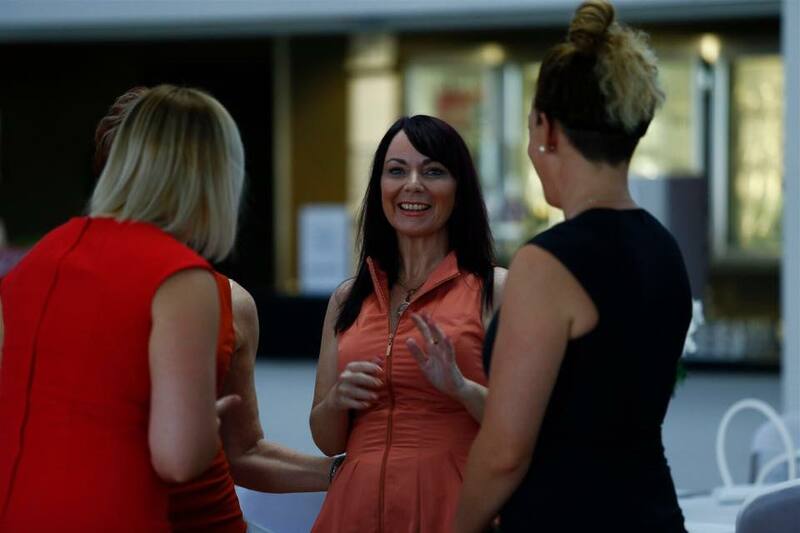 The way to do this is by attracting your clients rather than pursuing them. Getting Over Your Fear of Wealth. We tend to have a very complex emotional relationship with money. Many of the facets of this relationship are fear-based – learn how to recognise them and how to eliminate them. The Right Brand for your Business. The right design for your business is not something you ultimately decide on an intellectual level; it is something you will know by feel. Powerful Pricing. Feng Shui is a very useful method to use when it comes to pricing your products and services. Numbers play a very big part in the foundational principles of Feng Shui and are in fact the basis of the system used to create the Bagua Map. Overcome Your Current Challenges. Sometimes beliefs and internal attitudes aren’t the only issues creating bottlenecks in your success. Behaviors and habits are other factors that play a significant role. Effective Goal Creation. Goal creation doesn’t have to be a hit or miss proposition. There are a number of guidelines for setting and achieving goals. And That’s Just The Tip Of The Iceberg Of What You Will Uncover Inside This 360 Page Book! Alisse Bradley has one of the most extraordinary minds I’ve encountered. Her unique education and research and development in the areas of wealth creation, quantum physics and the power of thought are like none other. Her unique wisdom and gift for communicating in a way you can understand make Alisse a powerful teacher and leader in her field. If you want to understand the secret to a successful business, this book is your solution. I always thought Feng Shui was just about the importance of closing the toilet seat and how you arrange your furniture. Alisse Bradley has opened my eyes to how powerful and complex it actually is. I discovered a step-by-step system to strategically build on the way I have intuitively approached business to have an even greater impact. Thank you Alisse. Alisse Bradley’s book, Millionaire Feng Shui, is very timely. I use Feng Shui in my home and office as a matter of course. Reading Alisse’s book gave me new insights, new ideas and new tools for increasing the power of my business through Feng Shui. What’s great is that it doesn’t matter if you ‘believe’ in it or not… because energy flow is energy flow. For example, if you have something keeping your office door from fully opening, this is blocking energy fully coming into your business. Straightforward. Clear. Useful. I invite you to take the time and clean up your life, your office and your business with this book as your guide. You won’t regret it! Alisse has integrated her East and West with simple exercises and empowering stories, to clear underlying blocks to your flow of money. I love that she tells women it is ok to be abundant and successful. More and more we are looking to solve our own problems, get to the underlying issues, take personal responsibility and look at how to be clear on our purpose. Honouring your business is so important, using the core principles of Feng Shui - to be clear in your life and your surroundings - to see patterns clearly - to have skills written in a way that are clearly explained and easy to implement. Alisse as a person - you amaze me - for your sheer determination to find strategies to handle the blocks in your own life and I love that you have applied that drive and determination to your work with Feng Shui. Alisse’s wealth of knowledge and experience absolutely shines through in her work. The depth of information she provides and the ease with which she transmits this into actionable steps for the layperson is a rare gift. I have thor- oughly enjoyed reading Millionaire Feng Shui and using the hidden science Alisse reveals to increase my own business success. If you are interested in making positive changes in your life and work, I would highly recommend starting with this book. Alisse operates from her heart in the most authentic and passionate way. Her knowledge of Feng Shui is stunning, as is the manner in which she lives and breathes this way of life. There is something truly special about Alisse, which you’ll discover here on the pages of this life-affirming book.